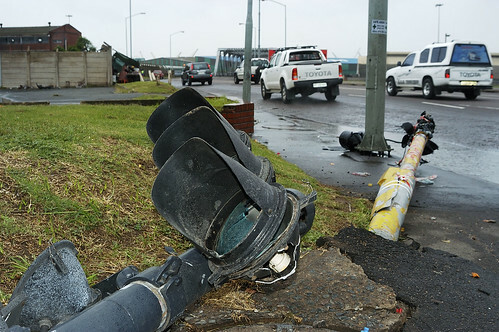 Despite having a bright light always lit at the top of it and not actually being on the road, it is quite amazing how many traffic lights in Durban get run over! Are there motorists out there aiming for them like moths fatally attracted to the light? Also why does it always seem that traffic lights take the brunt of these pavement excursions? 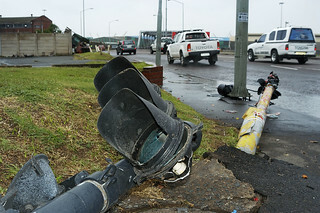 How come other kerb based items such as street lights, bus stops and rubbish bins mainly manage to avoid this onslaught?